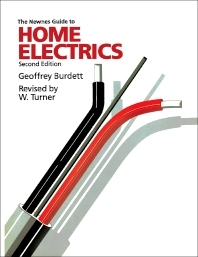 Home Electrics, Second Edition provides a do-it-yourself (DIY) guide to residential electric systems. The book is comprised of 15 chapters that cover the different aspects of home electrics. The topics covered in the text include electrical installation, rewiring, power circuits, electrical hardware, electrical repairs, tools, and safety. The book also discusses a specific area or function of home electronics, such as lighting system, lamps, electric cookers, and outdoor electrical extension. The book will be of great use to individuals interested in learning how to conduct proper home electrical installation and maintenance.